All kind of horses for sale - see our selection below! 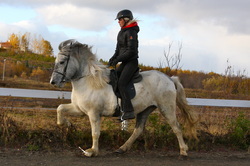 We have for sale all kinds of horses both for breeding, compitions and riding - at all ages and prices. 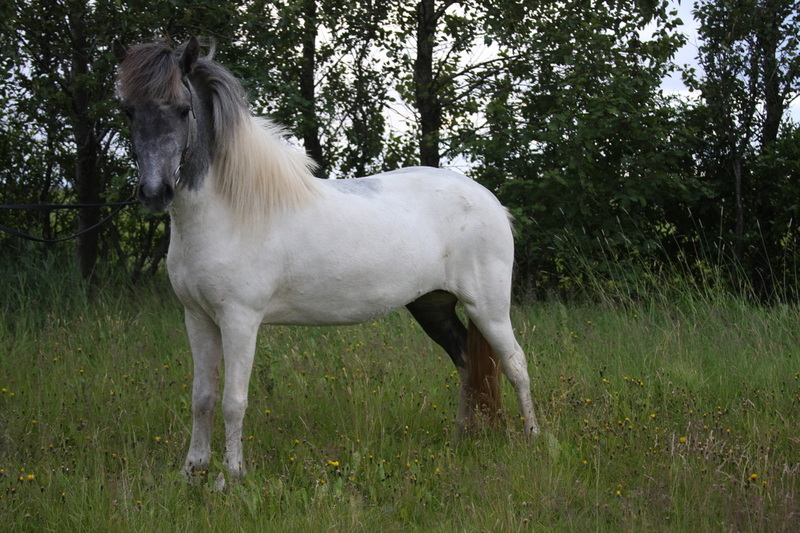 Most of them are after 1.price stallions eg. 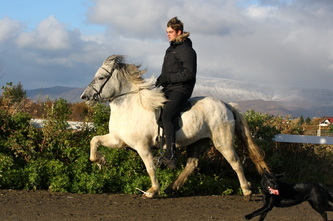 Sær from Bakkakot, Álfur from Selfoss, Gaumur from Auðsholtshjáleigu, more and more. If you are looking for something special we can find the right horse for you! 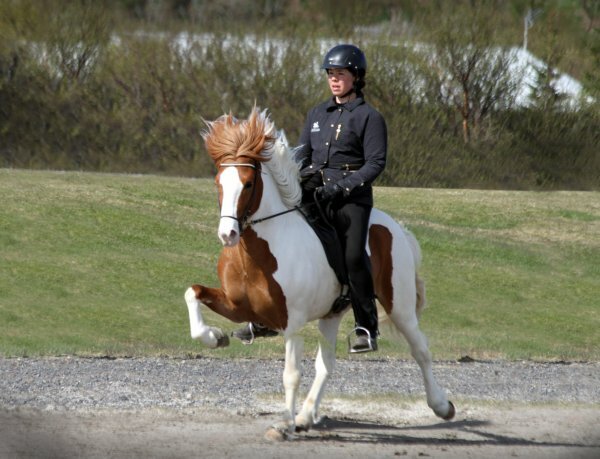 Wether it is a extreamly good compitition horse, a great riding horse or a youngster. Don´t hesitate to contact us, you are always welcome! Eyland is located just outside Hella. Ísold is a promising fivegater with clear and good gates. She has high movements and her character is 100%. We started to train her the fall of 2010 and we were pleasantly surpriced.. she turned out to be great and we were very impressed by Ísold. She is after Dúkka from Dalbæ which is after our favorite, Gustur from Grund, and Dóttla from Stóra-Hofi. Ísold´s father is Klettur from Hvammi which has been proofing himself as a breeding horse.. Ísold could be a very good fivegater for sport as well as a breeding mare! Ísold is pregnant with the amazing stallion Toppur from Auðsholtshjáleiga. Their future offspring has 119 in BLUP, 75% chance to be pinto and 50% chance to be grey!